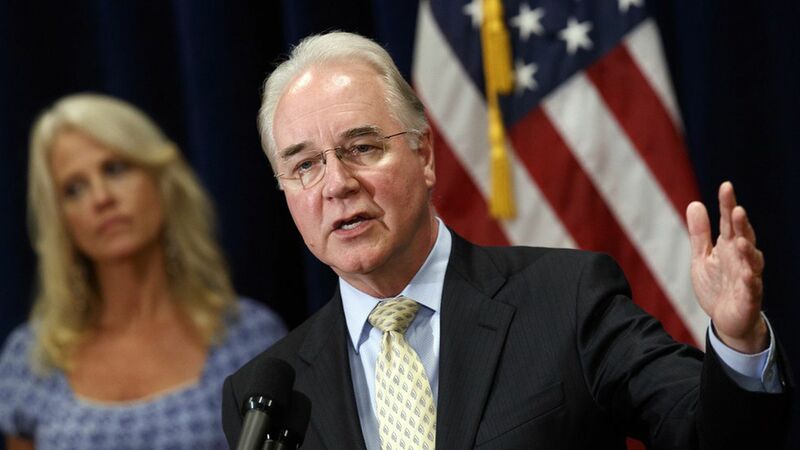 Health and Human Services secretary Tom Price pushed back this afternoon on the recommendation from President Trump's opioids commission that a national emergency should be declared to deal with the crisis. At a briefing in Bedminster, N.J., Price told reporters that the White House believes it "can be addressed without the declaration of an emergency, though all things are on the table for the president." Think back: The commission, chaired by Chris Christie, recommended in its interim report last week that the White House declare a national emergency to facilitate a response. Why it matters: Neither President Trump — nor Price or Kellyanne Conway, who briefed reporters this afternoon — laid out concrete steps to respond to the crisis, though they emphasized that the administration was taking it very seriously.